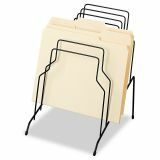 Fellowes Wire Step File, 8 Comp, Steel, 10 1/8 x 12 1/8 x 11 3/16, Black - The Fellowes Wire Step File sorts legal or letter size documents for easy desktop access. 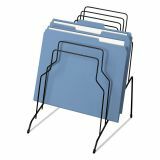 The file has eight compartments with a graduated step design. 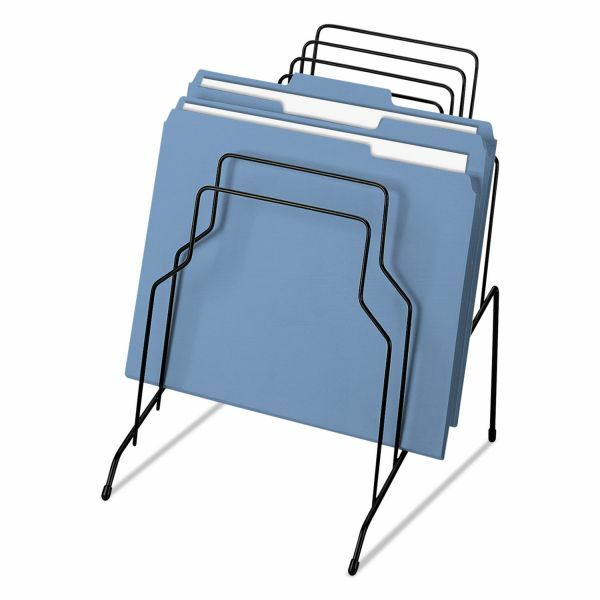 Files towards the back are elevated for easy retrieval. Black wire design is open, keeping files in sight. 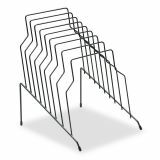 Wires are made of steel and do not attract dust, with rubber-tipped feet for desktop protection.